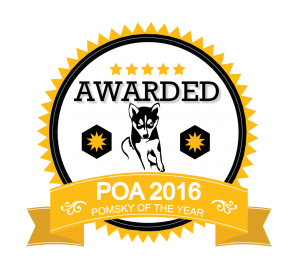 Congratulations to Pixie from SZ Pomskies, voted the 2016 Pomsky of the year! 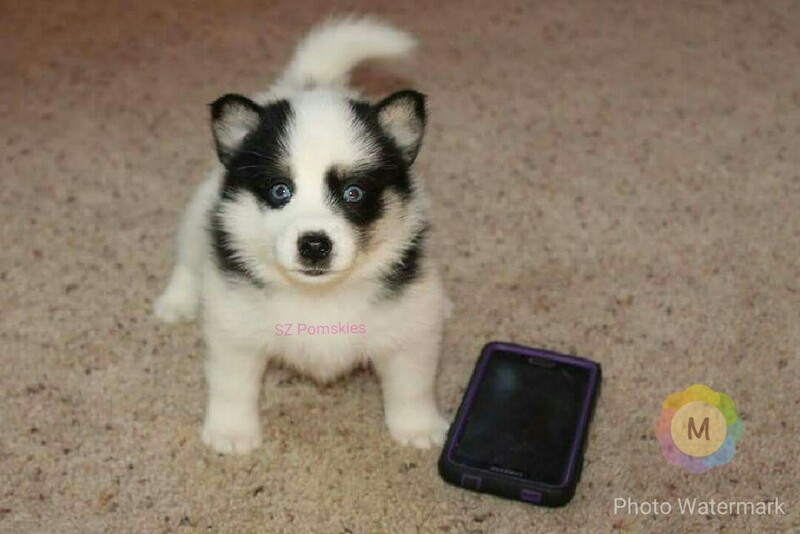 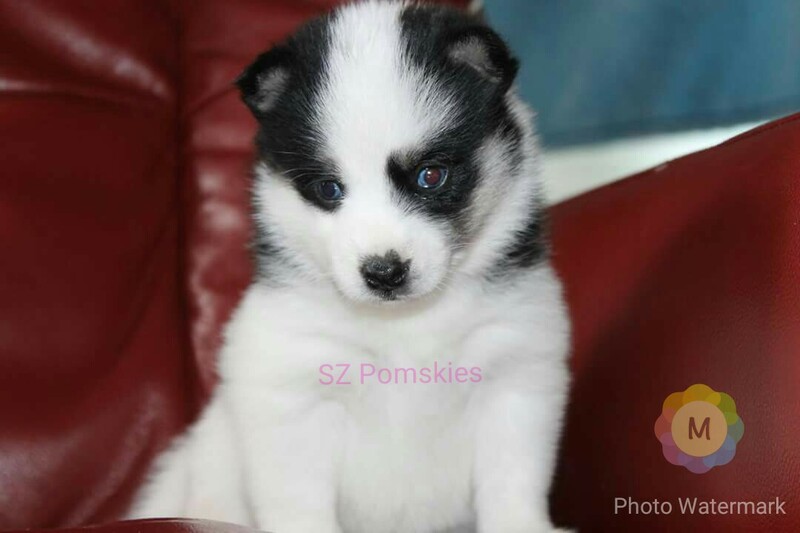 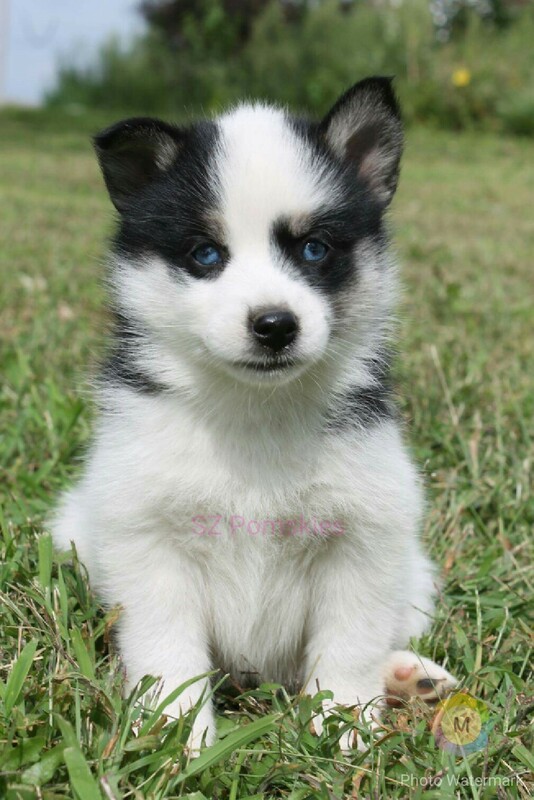 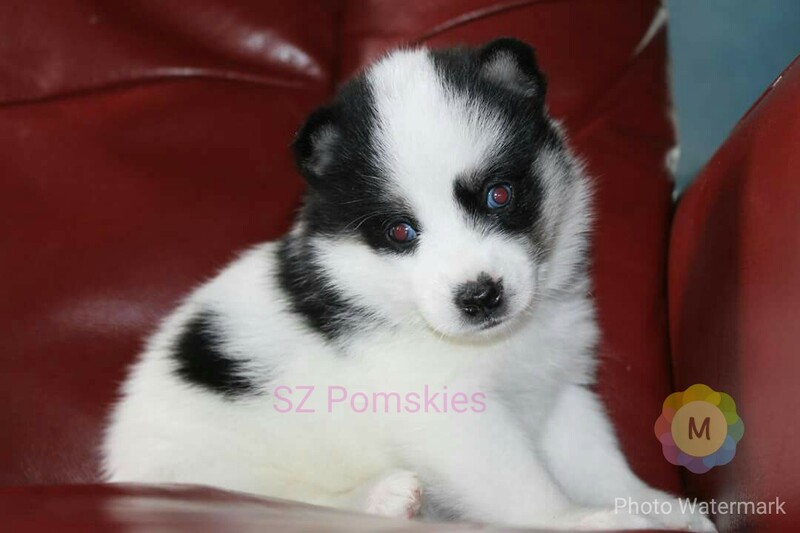 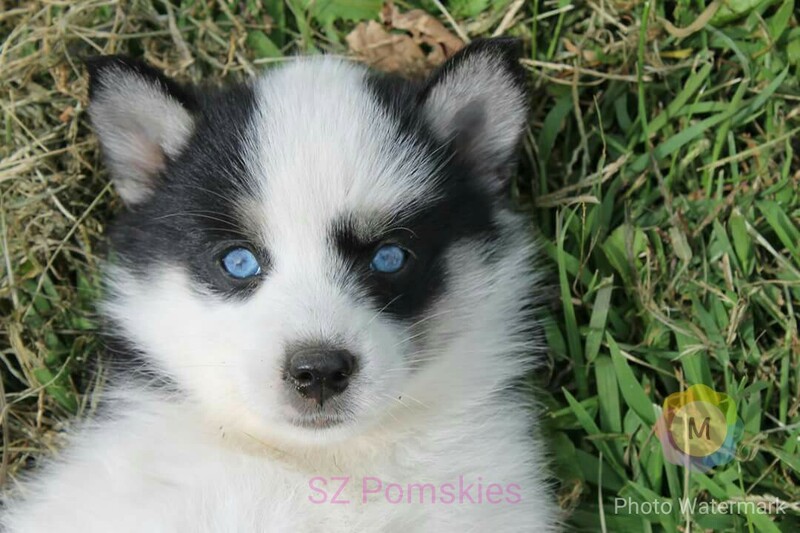 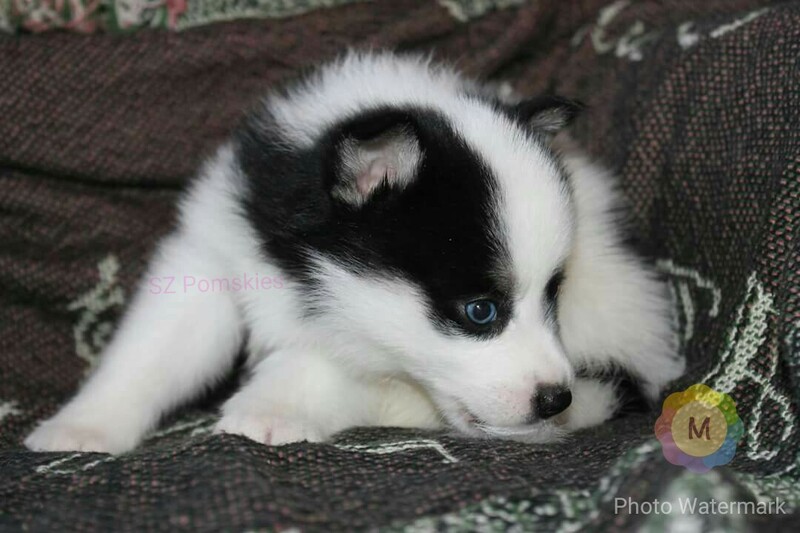 Pixie is a gorgeous black and white piebald POMSKY with two blue eyes. 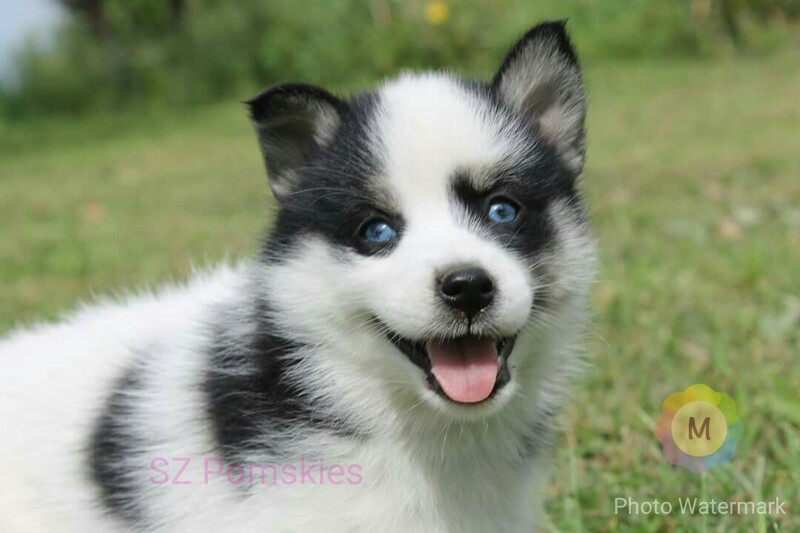 Pixie is very playful and is always smiling. 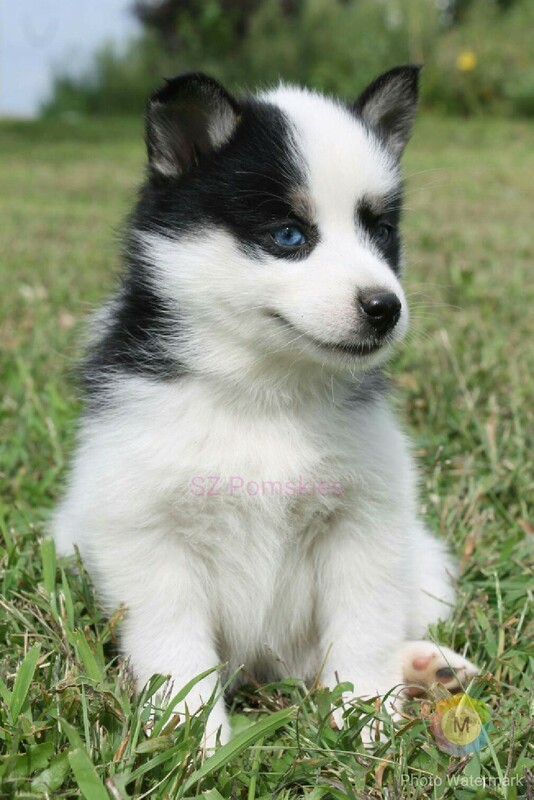 She is fun, loving, and is always the talk of the show. 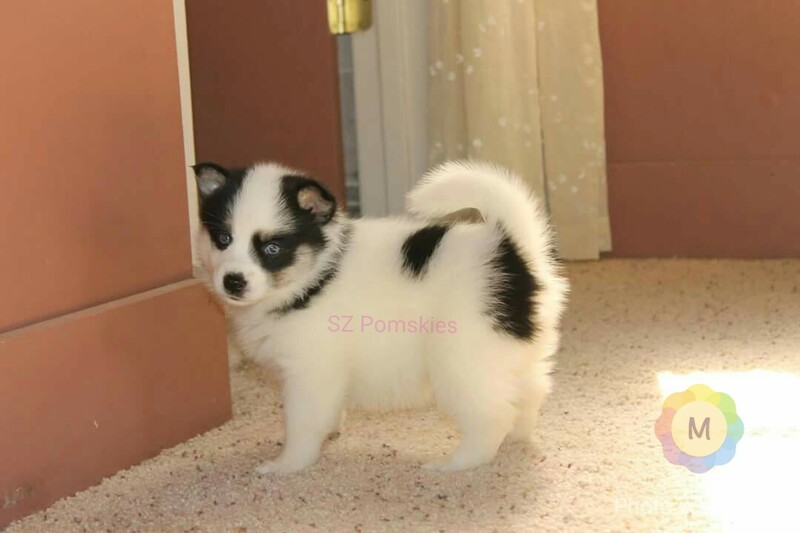 Pixie and an absolute show stopper with the personality of a princess. 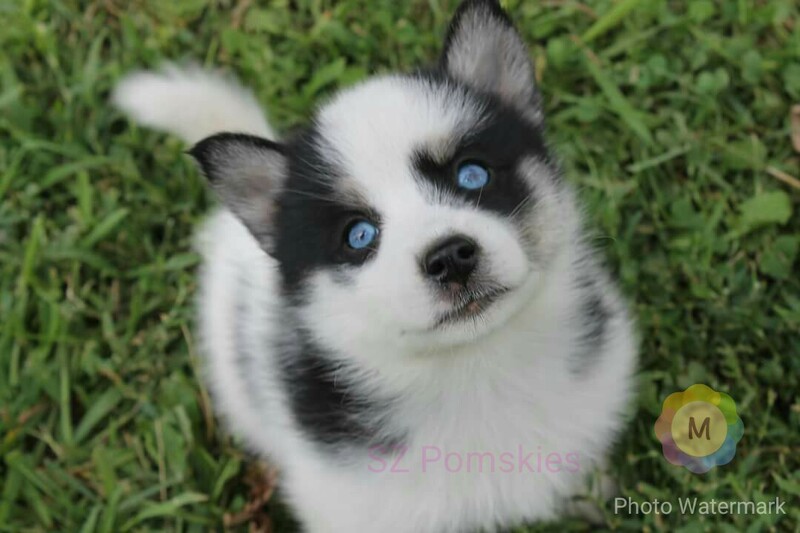 She is the sweetest puppy ever and is the first to want attention.